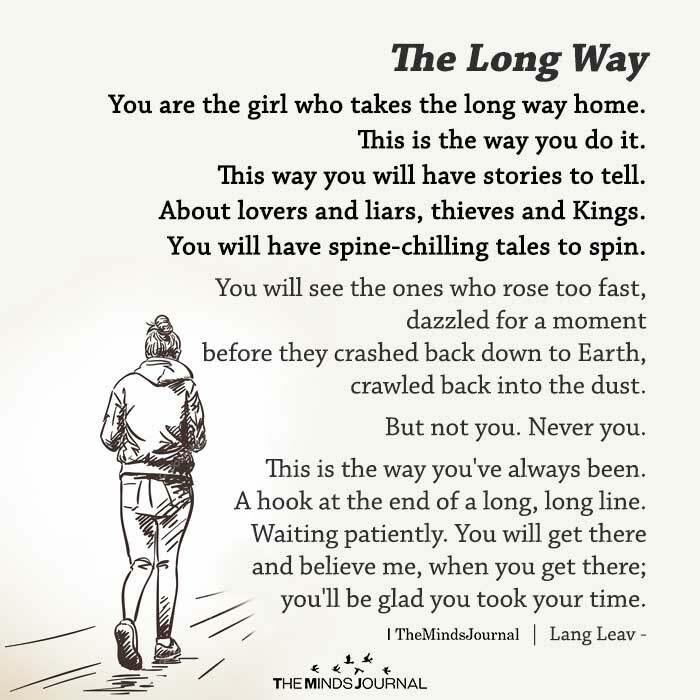 You are the girl who takes the long way home. This is the way you do it. This way you will have stories to tell. About lovers and liars, thieves and Kings. You will have spine-chilling tales to spin. You will see the ones who rose too fast, dazzled for a moment before they crashed back down to Earth, crawled back into the dust. But not you. Never you. This is the way you’ve always been. A hook at the end of a long, long line. Waiting patiently. You will get there and believe me, when you get there; you’ll be glad you took your time.